different ways of planning and documenting based on practices in Reggio Emilia schools. Educators will look at the cycle of planning and where documentation fits and the why behind documentation. Registration fee includes materials and nutrition break. 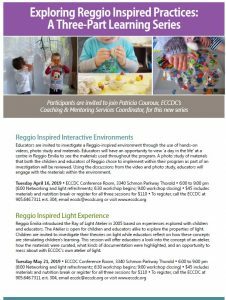 This session is part of the Exploring Reggio Inspired Practices series. 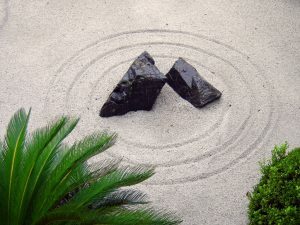 Click here if you wish to register for all 3 sessions in the series instead.